With 60 deals completed in the UK and US across Q1, 2 & 3, there are no signs of slowing down as we continue to successfully manage mergers and acquisitions on our clients’ behalf. Seller – Founded 30 years ago, Warkentine Inc. is a provider of pharmacy software to the independent pharmacy community. The company is integrated with the pharmacy automation, robotics and IVR systems, including ScriptPro, Automed and more. Buyer – Founded in 1977, Transaction Data Systems (doing business as Rx30) is the preferred choice of pharmacists who demand a comprehensive pharmacy computer system built for speed, accuracy and functionality. Rx30 has been the innovative leader in streamlining the processes and procedures that are vital to a pharmacist’s daily routine for over 38 years. 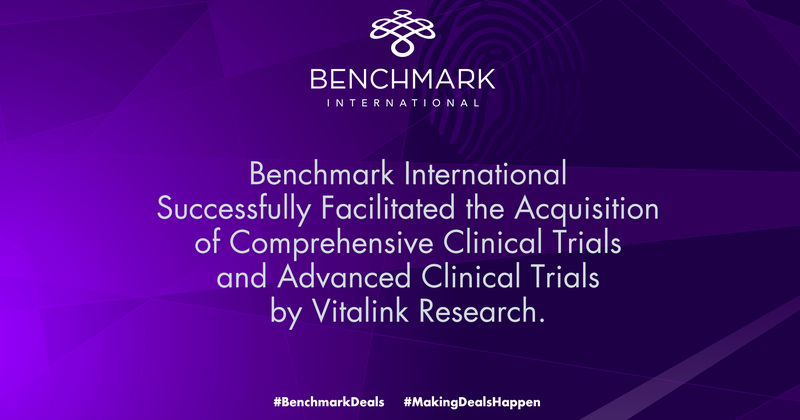 Benchmark Factor - Based on Benchmark International’s knowledge of other deals in the sectors, we were able to help the sellers receive market terms and ensured they received the best deal in the open market. A hard stance with the buyer was called for on several occasions in order to help the seller achieve their goals for the transaction. Seller – Steven Feller P.E. LLC was formed in 1979 to provide quality services across HVAC, Electrical, Plumbing, Fire Sprinkler, Life Safety Systems Design, Peer Review, Green Building Design and Forensic Investigative, for any type and size project. Its expertise has been applied to new construction projects as well as retrofit and reuse of existing and historic buildings. Buyer – Founded in 1991, Yenni Capital is a lower middle market private equity investment firm that takes control equity positions in growth-oriented US companies, whilst also considering opportunities outside the US, selectively. The firm partners with existing entrepreneurs, founders and management teams across industries, and actively helps them grow avenues, EBITDA and EBITDA margins. Benchmark Factor – Benchmark International worked tirelessly alongside the seller to make this transaction successful. Working with the buyer and their lending partners to ensure that the terms of their capital worked inside the context of the deal, Benchmark International led every step of the due diligence process. Up to the final days leading to closing, our team was also influential in negotiating last-minute proposed changes, ultimately to our client’s benefit. Seller - Founded over 20 years ago in Naples, Florida and today boasting five established outlets – with a sixth opening soon - Skillets offers amazing breakfast and lunch options with fresh food that has that homemade southern taste! All food is fresh and pastries are made in house. Buyer – Based in Greenwich, Connecticut Rosser Capital Partners is an investment firm with a focus on investing in small to mid-sized restaurant, consumer and retail companies that demonstrate significant growth potential and which could benefit from strategic and operational enhancements. Over the last 20 years, the principals of Rosser Capital Partners have completed 25 transactions including 18 in the restaurant industry. 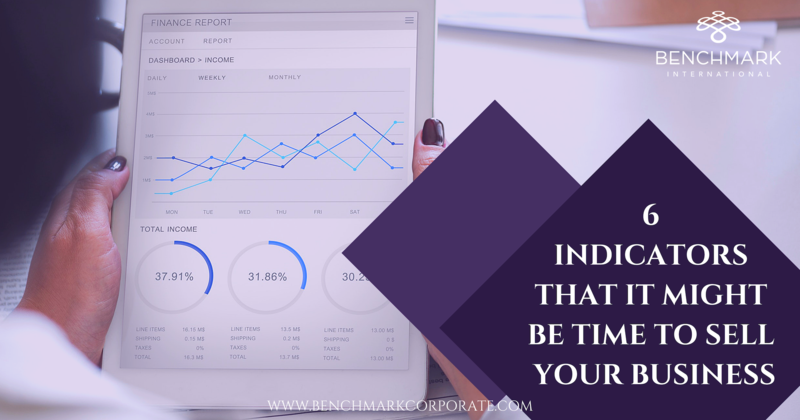 Benchmark Factor - Within the first two weeks of marketing the team at Benchmark International identified and introduced the perfect buyer to our client. The buyer had been a regular at the restaurant for years and was familiar with the local market and the company itself. Our team quickly recognised the perfect fit represented by this deal, both for the seller and for the buyer’s portfolio of companies in the restaurant/consumer products space. Seller – Since 2003, Informed Business Solutions has provided businesses across the UK and Europe with Energy & Telecoms Cost Management Solutions that are innovative, bespoke, and in most cases self-financing. All clients enjoy an exemplary service experience from Informed Business Solutions, which has resulted in long-term, mutually rewarding client relationships - a fundamental aspect in its business and resource planning. By having such a client centric approach, they have managed to grow each and every year. Buyer – Established in 2000, Inspired Energy Solutions has grown to become one of the largest energy consultants in the country, and is now part of a group of companies within Inspired Energy PLC. Primarily catering to large private and public sector organisations, and providing an array of essential energy advisory services to industrial and commercial clients, its experienced buying team guides some of the UK’s leading organisations to ensure they maximise their buying opportunities in energy markets. Benchmark Factor – Benchmark negotiated two competitive offers from major Energy Procurement Sector buyers. Additionally, they provided detailed analysis and advice regarding surplus asset calculations, maximising the deal’s transaction value. Seller – The Common Source was founded in 1997 and provides comprehensive information management services to legal firms and corporations. The company’s flagship service, remote data hosting, was inspired by need. Gradually, services were expanded to include document scanning and coding, electronic discovery, managed review services and more, all driven by clients’ needs. Buyer – The Aureus Group is a leading provider of staffing and recruitment solutions and an affiliate of C&A Industries Inc., one of the largest and most respected privately held human capital management firms in the country. As a company, it specialises in the practice areas of finance & accounting, information systems & technology, executive search, and healthcare leadership. 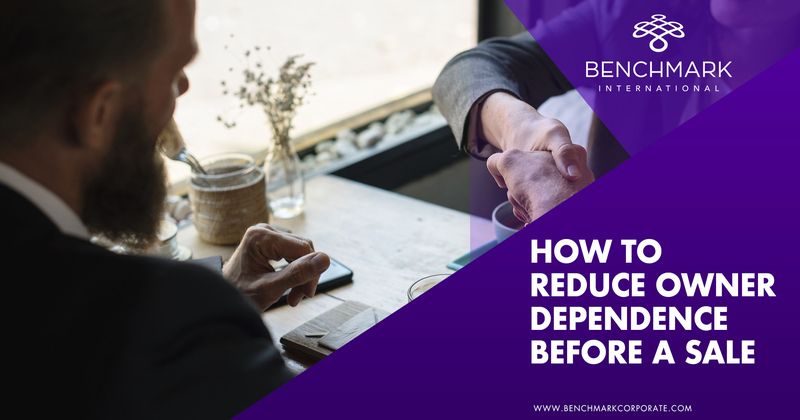 Benchmark Factor - Benchmark International added value by negotiating, on the seller’s behalf, the most aggressive terms allowing the seller to retain assets that would not be used by the buyer moving forward. Also, negating an equity position for the seller and key employees in new company was criteria because it allowed all parties to participate in the upside and ensure that they had a say in the company post-closing. This also allowed the seller to remain stay on board in an advisory role in Aureus. The cultural fit was the number one priority. The Common Source was a very family friendly business and the employees were treated as family by the seller so it was important that a similar culture that would continue post close. ← What do slowing sales and a growing services business mean for Apple’s M&A appetite?